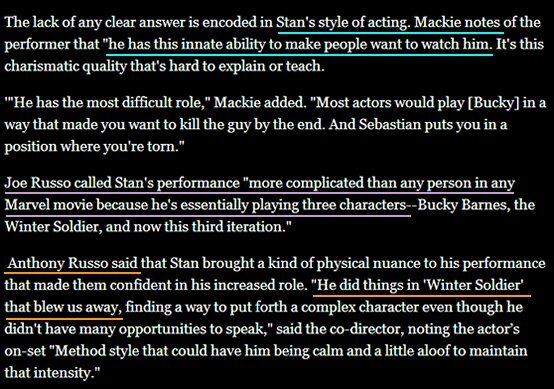 Fan Forum > Male Celebrities > Sebastian Stan > News & Appearances #8: It's Wonderful We're Getting So Much New Stuff With Sebastian!! 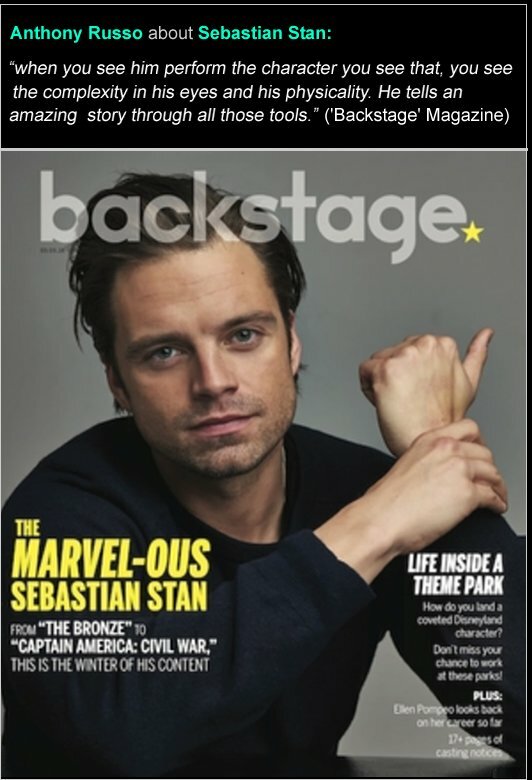 News & Appearances #8: It's Wonderful We're Getting So Much New Stuff With Sebastian!! I edited the OP as you'd had something quoted twice. You're welcome and thanks Sarah. No problem. It's an easy mistake to make. Guys, guys, guys... Listen, I accidentally found out about this and I'm glad to share this with you. You're welcome and thanks for the gif. thanks for those, the gifs! looks like the video was removed though. Boo about the video if it's been removed. (I've put the fragement on Youtube, see below). Frank Grillo was praising RDJ for his commitment to Iron Man role in these comic books movies. - "He gives a f.uck, he gives a f.uck..." (RDJ not being superficial cause is a comic book movie) "It makes you feel like '...should I be giving more of a f.uck ?" (we know that in many interviews Chris says he takes his Captain America role very seriously). As if, 'yeah, RDJ is serious and we just go there and having fun on the set, we don't take our roles seriously and it's all on RDJ, we are nobody...' ). - "He is the guy who could call it in and kind of do his thing, and he doesn't do that"
- "Have you seen "The Judge? He's quite capable of it." And then we've seen Sebastian amusing himself and give an accomplice look to Chris. (It's really incredible how those two, Chris and Sebastian, get along so well, good friends exactly like in the movie. I also let Chadwick in this fragement, where he says "I wasn't invited" - he is so adorable when he says that. I must say that Chelsea was very disrespectful some times (no surprise to that), and when Sebastian at some moment expressed his fear of flying, she abruptly told him "get your shi.t together" doing a stupid comparison with the people who raise dogs. After then, Sebastian got quiet, especially that Chelsea and Grillo always covered his voice, interrupting him, Seb looked like he was feeling no more comfortable there, with Chelsea. Chadwick didn't missed a thing that he didn't got invited.